A cult movie of the 1980s, Dirty Dancing was set at the fictional Kellerman’s Resort in the Catskills. 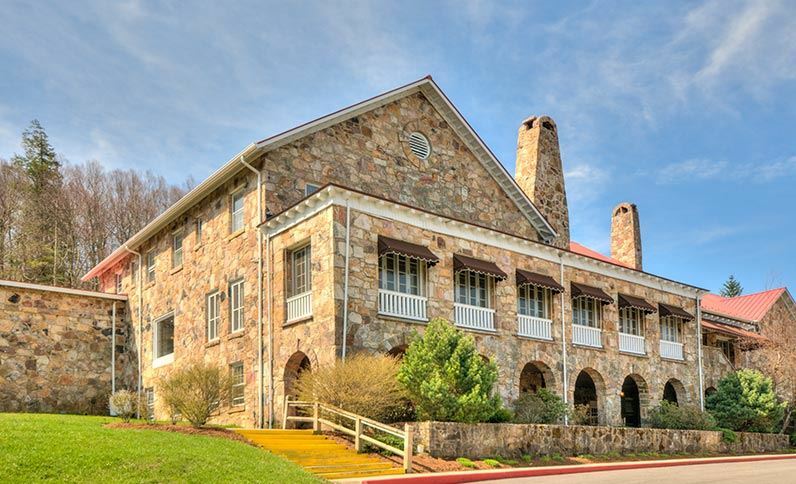 In fact, the filming took place at the Mountain Lake Hotel in Pembroke, Virginia. The film was set in 1963 and reflected the lifestyle of prosperous New Yorkers in those days – until cheap flights came along, it was customary for the affluent to make their way to the Catskills for the summer. This was usually to a resort such as the ‘Kellerman’s’ shown in the movie. And yes, the hotel does have Dirty Dancing package deals! Find out more about the hotel here. WHERE IS MOUNTAIN LAKE LODGE?